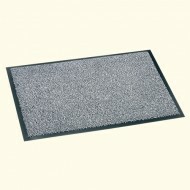 Furbo high quality Barrier Mat with tuf..
Furbo high quality Barrier Mat with tu..
Shannon Barrier Mat. 24" x 16" approx. Hard w..
Shannon Barrier Mat. 24" x 16" approx. Hard ..
Shannon Barrier Mat. 35" x 24" approx. Hard w..
Shannon Barrier Mat. 59" x 35" approx. Hard w..